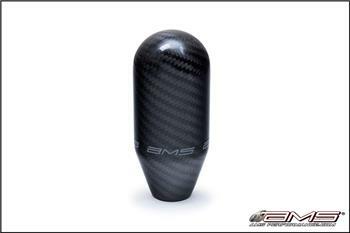 AMS Performance Shift Knobs MITSUBISHI - Dezod Motorsports Inc - Home of the automotive performance enthusiast since 2002. All AMS Performance Shift Knobs are designed to extend the length of the shifter which aids in shifting throw and keeps the knob closer to the drivers hands while road racing. Made of real carbon fiber in a 2×2 weave with an aluminum core it features an AMS logo which is clear coated over so it will not wear off over time. New V2 ergonomic design for better shifter feel.